Irregular activity. While you’re building an online audience, you’ll want to stick with a consistent posting schedule. Avoid posting three to five days a week and then going silent for a week or more. Provide reasons for your audience to remain tuned in with regular updates and quality content. Blatant keyword stuffing. Keyword stuffing is a common problem among SEO beginners who try to include as many keywords as possible in an article to get their content seen in Google searches. 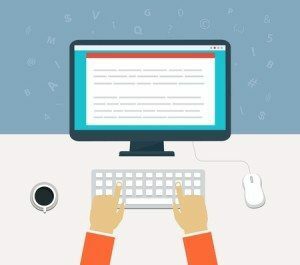 There are several negative consequences of overloading your content with keywords, including penalties from Google (e.g., ranking your content lower than other, more naturally written and useful content on the same subject) and lost interest from potential readers who view the content as less valuable and too sales-y. Limit your keyword density to an appropriate range (0.5%-2%) and stick to 2-3 different keywords instead of stuffing in 7-10 keywords multiple times. All Text, No Pictures. For B2C content especially, including pictures can work wonders for increasing audience engagement. Online marketing research has repeatedly proven that posts and articles with photos outperform text-based articles because audiences are drawn to eye-catching visuals and are thus more likely to continue reading than if they were confronted with a huge block of text. No Cross-Promotions. Even if you have a fairly well-established website with a steady stream of daily visitors, you’ll be missing out on a much larger audience if you don’t actively promote your web content on social media and other blogs. Many people rely on social media — especially Facebook and Twitter — to get new updates from their favorite brands, and you also could access new audiences by guest posting on other blogs. Don’t assume your keywords are enough to maximize traffic to your web content. Instead, promote your content multiple times across social media platforms to get more views and engagement.